Kali has been living in this hand built geodesic dome since the 70's. She now lives here with James her partner of almost 30 years. 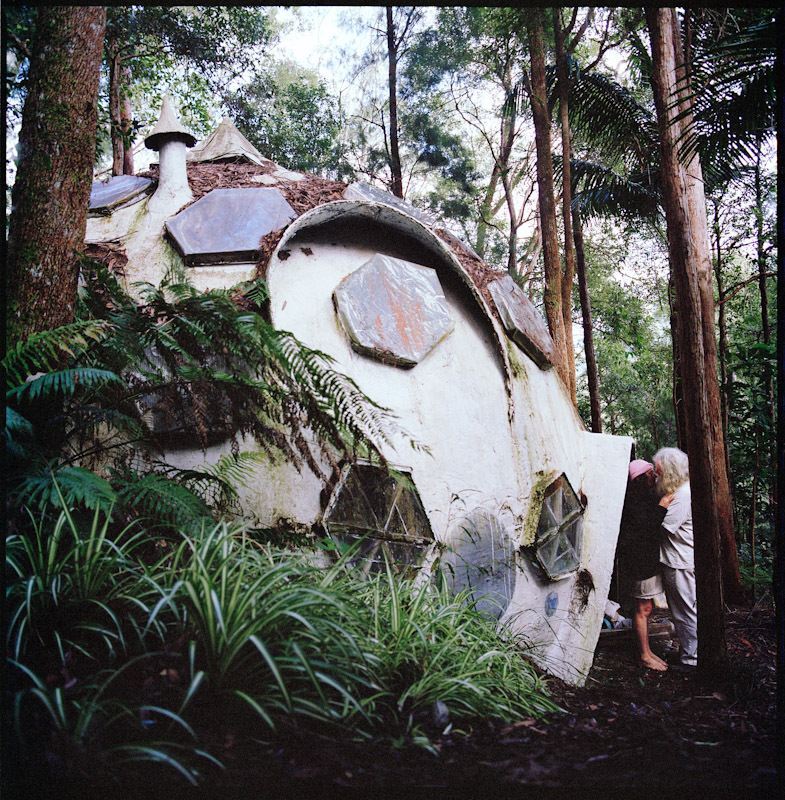 The dome is in a remote part of land and the couple have to be fit and nimble to navigate the challenging path from their work space to their dome which includes crossing hand made wooden bridges, scaling steep mossy rocks, cliff sides that weep water, and ducking through overgrown tunnels of lantana.